Sam Harris (born 1967) is an American non-fiction writer, philosopher and neuroscientist. He is the author of The End of Faith: Religion, Terror and the Future of Reason (2004), which won the 2005 PEN/Martha Albrand Award, and Letter to a Christian Nation (2006), a rejoinder to the criticism his first book attracted. His new book, The Moral Landscape, explores how science might determine human values. 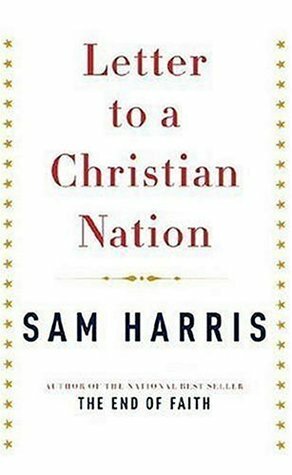 After coming under intense criticism in response to his attacks on dogmatic religious belief, Harris is cautious about revealing details of his personal life and history. He has said that he was raised by a Jewish mother and a Quaker father, and he told Newsweek that as a child, he "declined to be bar mitzvahed." He attended Stanford University as an English major, but dropped out of school following a life-altering experience with MDMA. During this period he studied Buddhism and meditation, and claims to have read hundreds of books on religion. In an August 21, 2009 appearance on Real Time with Bill Maher, Harris stated that he grew up in a secular home and his parents never discussed God. He has stated, however, that he has always had an interest in religion. After eleven years, he returned to Stanford and completed a bachelor of arts degree in philosophy. In 2009, he obtained his Ph.D. degree in neuroscience at University of California, Los Angeles, using functional magnetic resonance imaging to conduct research into the neural basis of belief, disbelief, and uncertainty.